Bengaluru, Dec 01 (IANS) As a digital gateway to the world and the most wired country, the Netherlands on Friday offered India its expertise in healthcare, IT and cyber security. “We consider India an important partner in the Information and Communication Technology (ICT) sector and a key enabler for bilateral relations between the two countries,” Dutch Ambassador to India Marten Van Den Berg told reporters on the margins of a tech event here. Though a small country in size (land mass), the Netherlands is an important hub for Indian businesses in Europe as global Indian software majors Infosys, Wipro, HCL and Tech Mahindra stay invested in the Benelux region. Other Indian firms like Mind-tree, Mphasis, ZoHo and Host Circle have found traction in the Netherlands and tap into its IT ecosystem. 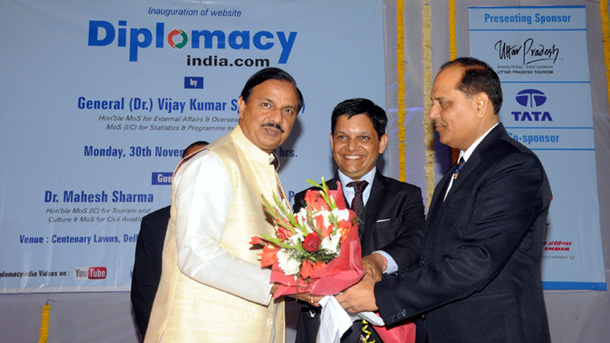 “India has an IT knowledge base. Its IT firms and talent have a key role in the global ICT industry, with ubiquitous connectivity, big data and increasing computing power shaping its innovation and disruption,” said Berg on the second day of the 3-day Bengaluru Tech Summit 2018, being held in the sprawling Palace grounds in the city centre since Thursday. The Indian Ministry of Electronics and IT and the Netherlands Organisation for Scietific Research (NWO) are collaborating in research and development (R&D). The two agencies have jointly made proposals in Big Data and Internet of Things (IoT) to support public-private-partnerships in 5 projects. In cyber security, the two countries are working on reducing its risks like cyber attacks and assessing their impact on economies. “As companies focus on containing cyber risks, they are facing digital talent gap in terms of cyber security skills. India has shown interest to adapt the Triple Helix model at state levels too,a said Dutch Consul-General in Bengaluru Gert Heijkoop on the occasion. Dutch firms Fox-IT and Group 2000 have been active in India and Indian companies like E2Labs, Skillcube, Cloud4c and Kryp Technologies are present in the Hague region. “We are partnering with Karnataka in cyber security to develop an ecosystem for international partnerships to meet our joint needs in R&D and capacity building and skilled workforce,” said Heijkoop. State IT-BT Principal Secretary Gaurav Gupta said Karnataka planned to build a platform for cyber security technology capability through its centre of excellence for cyber security. “We look forward to collaborate with the Netherlands and strengthen our partnership for a safe and secure cyber presence,” said Gupta./Eom/400 words.